Does the Easter Bunny go to Africa? Yesterday I was asked if we were going to have an Easter Egg hunt for our kids? I spent some time thinking about that, and wondered if we should do it for the big kids living at Emseni or do one for the toddlers too? Would we use chocolate in the 90F heat or would we have an infestation of ants by hiding candy? But the question provoked more thought and a bigger discussion. Like any family we have to decide which religious holidays we are going to observe, and how we are going to celebrate them with our children. Which icons will we use and which ones will we not include? What traditions do we want to start and which ones are left behind? For example, at Christmas, we have made the collective decision to not introduce Santa Claus or snowmen (we live in Africa) and we don’t decorate with snowflakes, icicles or reindeer. We do decorate with stars, angels and a manager and we did decide to put up a Christmas tree for the children – a western tradition for sure, but one that we chose to include. This week we have had to think through Easter and what we want to include for our children. Thinking about the Easter Egg hunt I was puzzled as to how I would explain to our Caregivers why we would take nice candy and hide it in corners with dust and dirt. What did the candy egg have to do with the death and resurrection of Jesus? I could make the link between the eggs and new life, but I wasn’t sure I could explain the candy eggs and the rabbit. My next step was to sit down with a few of our staff and ask how they were raised and what did most Swazi’s do for Easter. I was told most of them spent four days in church (! ), celebrating the resurrection of Christ. Every family brings whatever food they can find, and together the women cook for the congregation while they sing songs of praise and worship. I asked if there was candy involved or did a bunny rabbit make an appearance at any time, and I got a perplexed look. The answer was no, but everyone would enjoy a large plate of cooked maize (like grits) and with some stew on top, hopefully with a few pieces of grizzly meat to enjoy and chew on (the more fat and bone, the better!). This weekend we will not be introducing the Easter bunny to our children, but we will be sharing the good news about why we celebrate Easter. We will tell them about how Jesus died on the cross for our sins and then three days later he rose from the dead. We will make special food (fun eggs that represent new life), have a special church service, play with bubbles, balloons and have lots of water games to stay cool (stay tuned for some cute photos tomorrow!). PLEASE do not think I am criticizing anyone who is doing an Easter egg hunt for their own children or handing out chocolate bunnies. I am only telling you what we are doing here, since we do have the opportunity to do it differently than we did for Spencer and Chloe. Thank you to all of you who have given this month to help us feed children in our community. If you haven’t spent your entire Easter budget yet, please consider buying the gift of food for the orphaned and vulnerable children of Swaziland. You can purchase eggs (the perfect protein! ), maize, sugar beans or even a goat and we will deliver them to our church partners to feed the children. To donate in Canada click here. To donate in the US click here. Or if you would like to shop for diapers and wipes for the babies at Project Canaan you can go to our amazon.com Baby Registry by clicking here. 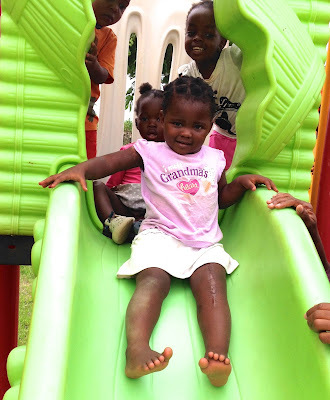 Live from Swaziland … Jesus is risen indeed! A fun weekend for all! This week tough decisions had to be made. Ian and I are not afraid of making tough decisions, but that doesn’t make them any easier. Due to the current drought that southern Africa is suffering through right now we have had to prayerfully make the decision to stop all vegetable growing on Project Canaan, effective immediately. There have been a few days of light rain, for which we give thanks, but it is not nearly enough to moisten the land or fill our dams. 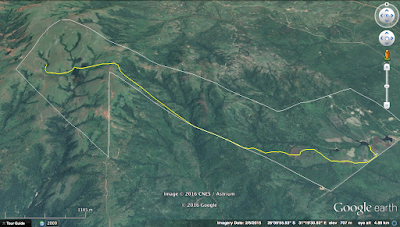 We stretched the water as far as we felt reasonable, without jeopardizing the domestic use from the borehole (dam #2 is an indicator of the water in the domestic use borehole), and we now know that we must stop growing vegetables. The dairy and egg laying projects will continue. This decision has not been made lightly as it will not only impact 40 employees (and their 13+ each dependents), but it impacts our income projections for 2016 and beyond. Living on a farm with nothing growing in the fields is discouraging to all and hard on morale, but it is a direct reflection of what the whole country (region) is going through. Our people are suffering, food prices are escalating (the maize staple have increased by 66% this year! ), and there is still no food in the school system. There is no doubt that our focus now must be raising the funds to bring the water from the springs at the top of the mountain in order for us to become “water secure”. There is no guarantee that the rains will fall in the next rainy season (which starts in November) so we must direct the water that the Lord has provided on this land for His work. Please keep us all in your prayers. This is a tough week at Project Canaan and surrounding communities. 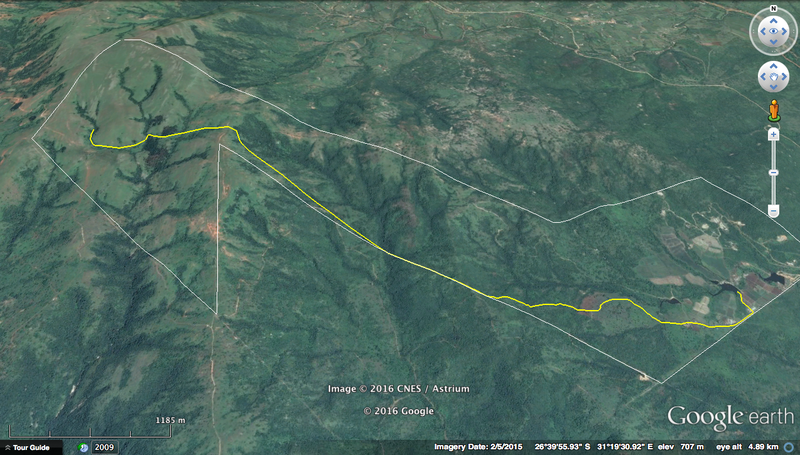 The line from the natural, year-round springs and the dams that we need to fill. That’s what is happening here. Please pray for all involved and please pray for the funding needed to bring the water down from the top of the mountain so that we can become “water secure”. We need a total of $800,000 (yep, a BIG number) to install 8,000 yards of piping and it will take us 6-8 months to build the pipeline once we have the funding. In the meantime, we pray daily that our last borehole does not go dry. Live from Swaziland … I will never take water for granted again. PS Update on last week's blog. We got all the funding needed for Isaiah and Seth's ear surgeries! Here is a photo of them with their passports! 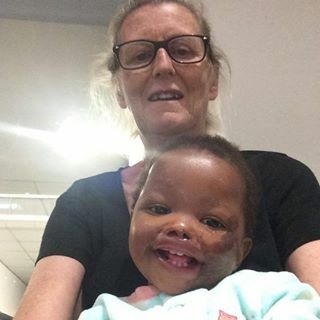 Their surgery is April 6th in South Africa. Thank you Lord for your provision! Labels: drought, water, water from the mountain. As I sit in my home on the side of a mountain in Swaziland, Africa, I am often frustrated by hearing the complaints about the healthcare in the US and in Canada. This is not going to be a politically charged blog, I assure you, but rather a different twist on “health care” (or lack thereof) from where I sit. We have a little boy named Seth. He is the cutest little guy, but has been sick from the day his mother dropped him in an outdoor toilet on January 4th, 2014. Among other long-term illnesses he has reoccurring ear infections, which result in his eardrums rupturing followed by puss and blood pouring out. This has happened at least 20 times in his short two years of life, but they never really heal completely before the next one. We have treated the infections, taken him to our own pediatrician and the only reasonable, and simple solution (if we lived in the US or Canada) is to have tubes put in his ears. This is not a complicated procedure, in fact even Spencer had them put in when he was a small boy and had lots of ear infections. 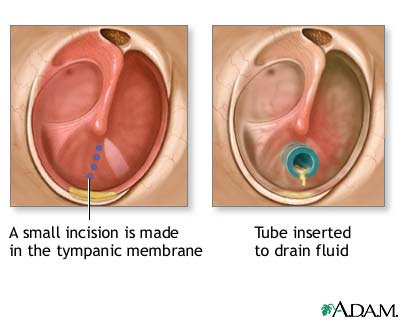 It does require surgery, but it’s day surgery and when complete the ears have a way to drain and not end up bursting and creating scar tissue that can eventually lead to deafness. Last year we finally found the ONLY ENT (Ear Nose Throat specialist) in the country to examine him, but he refused to put tubes in his ears. Why? Because he doesn’t believe in putting in tubes. He says that when the eardrum bursts, it is “nature’s way of removing the infection” (!!!). When Brooke’s father was here last month he examined Seth and said that he believed he was already deaf in one ear, and would certainly lose the hearing in his other ear if something wasn’t done urgently. He needs surgery, but that BASIC surgery is not available in our country. Our only solution is to take him to South Africa for surgery, but that is a huge challenge. You see, we have a big problem with child trafficking between South Africa and Swaziland and getting a passport for one of our children is very complicated AND then we have to have the correct government paper work to take him out of the county. This week was filled with blessings and breakthroughs, and we found just the right person, who was willing to write just the right letter, that will allow us to get a passport and take Seth to South Africa within the next week or two. Once we realized that this dream was becoming a reality, Brooke asked if we could take Isaiah too? Isaiah has had at least 10 ear infections in his short life and he too has a lot of permanent damage and scar tissue. The good news is that Isaiah already has a passport because he had to go to South Africa when he was a baby because he was near death and needed a myriad of specialists. (As an aside, they all told us that Isaiah wouldn't live, and we should take him home and put him in hospice. Today he still struggles with mal-absorption of food, but is doing well and a very happy boy). So, in the next two weeks we plan to take Seth and Isaiah to South Africa for surgery on their ears. We anticipate tubes and some reconstructive surgery to be required. Here’s the challenge. We have a quote from the surgeon to do each child, and including transportation and two nights hotel rooms for our driver and an Auntie, we are looking at a whopping $2,300 per child! I don’t know what that would cost in the US or Canada, but I do know that if we lived there we wouldn’t have to leave the country to get the care that is needed for these two children. Two days ago I put out a request on Facebook to raise funds for four washing machines needed for the Children’s Campus. Within two days we had them all! Today I find myself asking again, but this time for Seth and Isaiah’s ears, so that they will not go deaf in the months or years to come. We need a total of $4,600 and we know that HE will provide for HIS children. Will you be a part of HIS solution? If yes, please give to our Emergency Medical Fund today. Thank you. Live from Swaziland … I am thankful that I have ears to hear! Are you (or someone you know) thinking about serving in Africa? Many of you know that the focus of Heart for Africa is bringing HOPE to the people of Swaziland in the areas of Hunger, Orphans, Poverty and Education. Part of our poverty initiative is employment. With 280+ people employed on Project Canaan we help provide for 3,640+ people in the community. So when people ask about coming and volunteering to do things that we can (and should) hire Swazi’s to do, we explain our philosophy. But there are times when we need specialty help that can ideally come through long-term volunteers. Packing up and moving to Africa to serve is a HUGE commitment, but if the Lord is calling someone to move it is filled with excitement and anticipation rather than fear and trepidation. Nurse or Nurse Practitioner: The El Rofi Medical team is looking for a person who is a follower of Jesus to manage the care of the children living at Project Canaan including childhood illness, wellness checks, developmental milestones, long-term illnesses (HIV) or disability needs and overall health and wellness of the Children’s Campuses. This person would be trained by and work directly with Brooke Sleeper and the need is immediate for a minimum of one year. Kindergarten Teacher: The Project Canaan Academy is looking for an enthusiastic kindergarten teacher to foster and facilitate the intellectual, spiritual and social development of the children of Project Canaan. This person will plan, implement, and assess lessons and will teach childcare with manipulatives, patience, creativity and the love of Jesus. This person would work directly with Amber VanWinkle and is needed from January – December 2017 or beyond. Fine Arts Teacher: The Project Canaan Academy is looking for an enthusiastic, diverse fine arts teacher to foster and facilitate the intellectual, spiritual and social development of the children on Project Canaan. You will plan, implement, and assess lessons and you will teach childcare with manipulatives, patience, creativity and the love of Jesus. This person would work directly with Amber VanWinkle and is needed from January – December 2017 or beyond. House parents (mother and father) for ages 4-6: The Project Canaan Children’s Campus is looking for a mature couple with experience in child rearing who would live in a private room with ensuite in the children’s housing. They would be working directly with Emseni Senior Supervisors and staff to bring encouragement, discipline, patience and the love of Jesus to our older children (who are leading the younger ones by example). This need is immediate and for a minimum of one year. Mechanic: The Lusito Mechanic Shop is looking for an experience mechanic who is a follower of Jesus and would be focused on training, equipping and encouraging the people working at the mechanic shop as well as working on the maintenance and repair of all vehicles on the Farm (ATV’s, cars, trucks, tractors, JCB, bulldozer). This need is immediate and would be for a minimum of one year. For more information on each on the Nurse or teaching positions please go to: http://www.heartforafrica.org/Long%20Term%20Volunteers%20Needed.aspx or email info@heartforafrica.org. Each volunteer is required to raise their own funds for travel and a minimal amount for accommodation and food as well as the purchase of a vehicle. Serving in Africa is not for the faint of heart, but for those called, it is an adventure beyond our wildest imagination and it is for all ages. When Ben and Brooke Sleeper moved to Swaziland three years ago they were a young couple with no children. Now they have 2-year-old Koa and baby #2 on the way. Chris Cheek turns 60-years-old today (Happy Birthday Gogo Chris!) and walked away from an incredible job to serve as the Grandmother to our toddlers. I won’t list all of our amazing volunteers, but will say that each and every one of them has come to serve the Lord using the skills and experience that the Lord has given them. We are so thankful for their selflessness, sacrifice and service. Those of us living here see miracles each and every day, and it is truly “exceedingly and abundantly more than we could ask for or imagine”. Is God calling you to Swaziland, Africa? If He is, just say “YES”! Live from Swaziland … loving the adventure!